CLOSEOUTS. 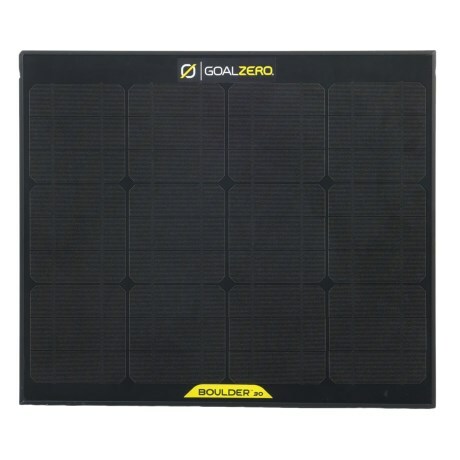 The Goal Zero Boulder 30 solar panel charges in bright sunlight and outputs up to 30 watts of power to recharge your power pack. Available Colors: SEE PHOTO.